Parag G. Patil, M.D. Ph.D.
Dr. Patil joined the faculty at the University of Michigan in 2005. A native of Pennsylvania, he attended MIT, where he received a BS in electrical engineering. After graduation, he was awarded a Marshall Scholarship to study Philosophy and Economics at Magdalen College, Oxford University in the UK. On returning to the US, Dr. Patil pursued combined medical and doctoral studies in biomedical engineering at Johns Hopkins University as a fellow of the Medical Scientist Training Program. His doctoral dissertation focused upon the presynaptic regulation of voltage-gated calcium channels. For this work, he was awarded the Michael Shanoff Research Prize for the most outstanding research contribution in the School of Medicine and the Harvey Cushing Medical Student Research Award. The study of signaling between neurons led to a strong clinical interest in neurosurgery. During residency at Duke University, he was awarded an NIH postdoctoral fellowship to help develop brain-machine interface neuroprosthetic devices, which read electrical signals directly from the brain and control external actuators, such as robotic arms. This research was featured in Time magazine and on the cover of Neurosurgery. Following residency, Dr. Patil obtained additional clinical expertise through a fellowship in functional and deep brain stimulation surgery with Dr. Andres Lozano at the University of Toronto. 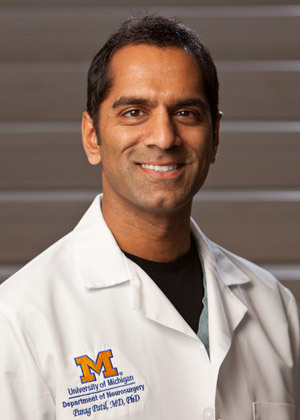 In addition to his active clinical practice and research, Dr. Patil currently serves as Associate Chair for Clinical and Translational Research in the Department of Neurosurgery, as a member of the Michigan Medicine IRB, and as Chief Innovation Officer of the A. Alfred Taubman Medical Research Institute. Kelly joined Michigan Medicine in 2013, as a physician assistant in the Department of Neurosurgery. She obtained her B.S. from Siena Heights College, and her M.S. in biomedical science from Barry University. She obtained her physician assistant degree from Nova Southeastern University in 2000. Kelly came to Michigan with a 12-year experience with all phases of neurosurgery, including working closely with a fellowship-trained DBS neurosurgeon. She has always been committed to serving others and finds that his program allows her to do just that. As part of her desire to care for others, Kelly is primarily interested in functional neurosurgery, specifically DBS surgery, because it is highly effective in giving back quality of life to the patient. 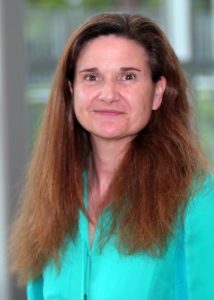 Wilma joined Michigan Medicine in 2014. She obtained her B.Sc. from the University of Glasgow in 1981, majoring in Immunology. 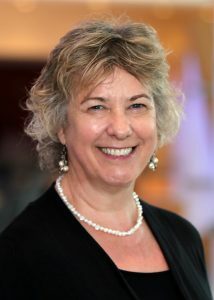 After a career in T-cell research in the UK and USA, she received her B.S.N. (2010) and M.S. (2013) in Nursing from the University of Michigan. Wilma serves as an Advanced Practice Nurse in the Department of Neurosurgery. She has always liked working with and taking care of people and, as neurosurgery fascinated her, it has been the perfect fit. 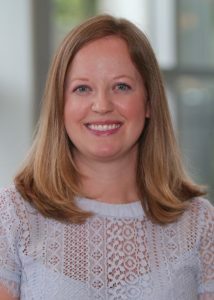 Melissa joined Michigan Medicine in 2015. Melissa has a B.A. in psychology from the University of Michigan and an M.A. in marital and family therapy from the University of San Diego. Prior to joining the team, she worked as a therapist. Melissa’s primary role is administrative assistant to Dr. Patil. She is also the community benefits coordinator for the Department of Neurosurgery, organizing employee events that engage in community service. She enjoys being part of an incredible team and working in a busy, thriving department. Donna joined Michigan Medicine in 1999. A native of the Ann Arbor area, she attended the University of Michigan, earning a B.S. in Biology and B.S.N. as well as an M.S. in Community Health Nursing. Donna serves as an Advanced Practice Nurse in the Department of Neurosurgery. Donna is actively involved in nursing education, and has served as preceptor and mentor to numerous nursing and nurse practitioner students. In 2012, Donna was honored as Nurse Practitioner of the Year by the Michigan Council of Nurse Practitioners for demonstrating clinical excellence and leadership within the profession. Laura joined Michigan Medicine in 1998. She obtained a B.A. in Psychology from Antioch College and a Master of Social Work degree from the University of Michigan in 1997. After working with the HIV/AIDS Treatment Program, she joined the Surgical Therapies Improving Movement (STIM) Program in 2009. 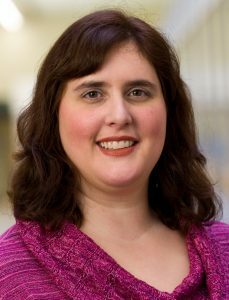 Laura currently serves as the Program Coordinator of the STIM program and Educational Activities Coordinator for the University of Michigan Udall Center of Excellence for Parkinson’s disease. 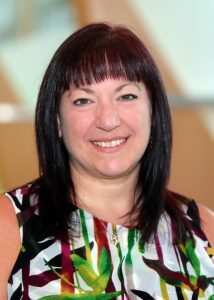 Laura has been a member of the Michigan Parkinson’s Foundation (MPF) Professional Advisory Board since 2009. She has been twice nominated for the Michigan Medicine Social Worker of the Year award. 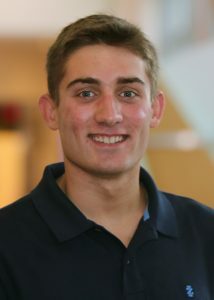 Joey joined Dr. Patil’s lab in 2017 and is pursuing a B.S. in Electrical Engineering from the University of Michigan. Joey’s current research focuses on improving clustering methods for thalamic segmentation. This work aims to create accurate patient-specific brain models to better analyze DBS targets. Joey’s past work includes developing a haptic vibration system for improving gate in Parkinson’s patients. 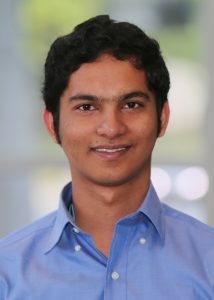 Kumar joined Dr. Patil’s lab in 2016. He graduated from the University of Michigan with a Master’s in Biomedical Engineering, specializing in neural engineering and neural signal processing. With a foundation in signal processing, Kumar’s research involves characterizing electrophysiological features with goals to achieve bio-markers for Parkinson’s disease and movement disorders. In addition, he helps translating the post-surgical neural-signal analysis to get real time surgical information during deep brain stimulation. Before coming to Michigan, Kumar completed his undergraduate studies in Electrical Engineering, specializing in signal processing and control systems at Anna University, Chennai. His undergraduate research involved bio-computation modeling advised by Dr. K. Kamalanand. Kumar was granted the Rackham Summer Award in 2016. 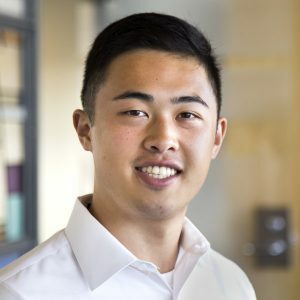 Charles Lu obtained his BSE and his MSE in bioelectrical engineering from the University of Michigan, where he is now pursuing his MD-PhD in bioelectrics. Charles’ main interests include doing translational research in neural engineering, data science, and clinical decision support systems. His long held fascination with figuring out how the brain works and how to impact it “in hard, quantitative terms” combined with the excitement of being able to impact patient outcomes has guided Charles’ desire to go into either neurology or neurosurgery. In research, Charles has worked on improving real-time signal processing capabilities in the operating room in order to better characterize deep brain stimulation targets. Karlo is a Ph.D. candidate in Biomedical Engineering. He received his B.S. in Biomedical Engineering (neural engineering concentration) from the University of Minnesota in 2012 and M.S.E. in Biomedical Engineering (bioelectrical concentration) from the University of Michigan in 2014. Karlo’s research interests lie in neuroprosthetics and his work focuses on modeling the electric field induced by deep brain stimulation (DBS), a neurosurgical therapy for movement disorders such as Parkinson’s disease, essential tremor, and dystonia. The primary goal of his research is to identify optimal DBS targets using a patient-specific tissue activation modeling approach, where model predictions are correlated with clinical effects. Such work will help provide a framework to develop, evaluate, validate, and translate novel approaches for improving patient outcome. 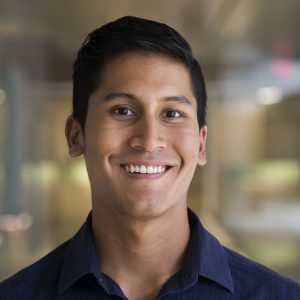 Karlo has been awarded a National Science Foundation Graduate Research Fellowship, Ford Foundation Predoctoral Fellowship, and Rackham Merit Fellowship. After earning his Ph.D., Karlo intends to pursue a career in academia or the medical device industry. Matthew Willsey, M.D., M.Eng. attended high school in Indianapolis. From there, he attended undergraduate and graduate school in electrical engineering at Massachusetts Institute of Technology and completed his medical degree at Baylor College of Medicine. 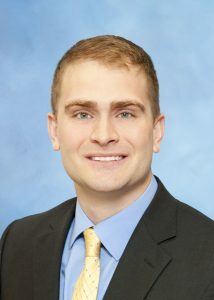 He is currently completing a residency in neurological surgery at the University of Michigan.